Who can’t live without their iPhone? Me! Me! Especially since I found these apps to help simplify my life. I also had a list of awesome child friendly iPhone apps. 1. Things. I never thought I would replace my handwritten list of to-do lists. But when Nathan introduced me to Things, it was exactly what I needed in a to-do list in an electronic form. 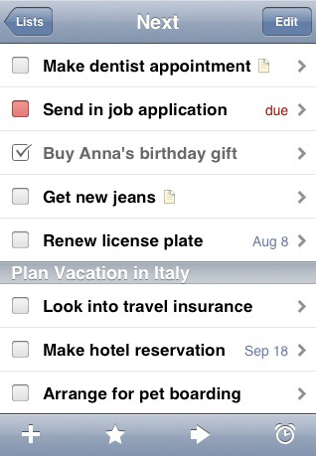 You can categorize them, set due dates, set reminders before due dates, have projects, write notes about a task. It’s $9.99 for the app. Totally worth it. 2. WordFu. It’s a hybrid of Boogle and Scrabble taken to a whole new level. 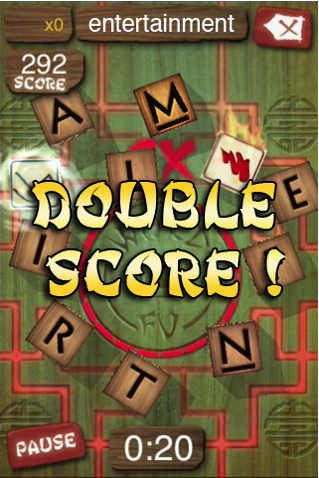 If you like word games that challenges the mind. This is a great one to exercise your noggin. And some nights before bed, Nathan and I like to place the 2-player challenge where we both play on our own iPhones. It’s $0.99 or WordFu Plus+ is free. 3. 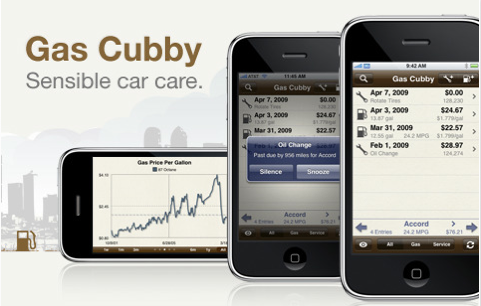 Gas Cubby. It keeps track of my car stats and maintenances for me. Each time I fill up, I enter the data and it gives me a chart and calculates info about gas milage and fuel expenses. If you have more than one vehicle, it keeps track of it all. 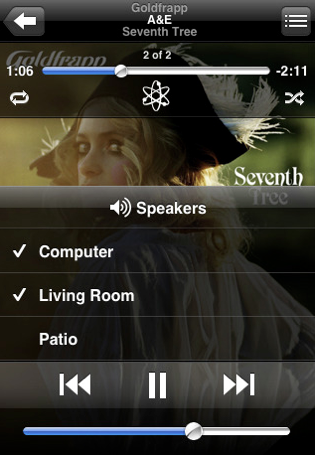 And you can sync the data with other iPhones in the household. It’s $6.99. 4. Tweetie 2. 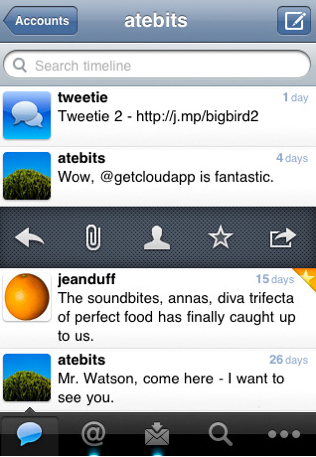 I think it’s the best Twitter app. Everything is simple and to the point. I like using this better than the actual Twitter site. It’s $2.99. 5. Remote. In our home, my desktop computer is upstairs. We have wireless speakers downstairs in the living room. I can control music for us to listen to using this app while I am away from my computer. Great for dance contests with my girls or when we are entertaining guests. It’s free. Great list! I’ve been playing with several different to-do list apps. It always comes down to my user errors: not taking the time to enter the info! Still, I’m hopeful I’ll eventually convert – I’m glad to hear Things is a good choice. I am love iPhone apps when it comes to things for work. It really does make some things a lot simpler. Great list!